MOSCOW, September 12. /TASS/. 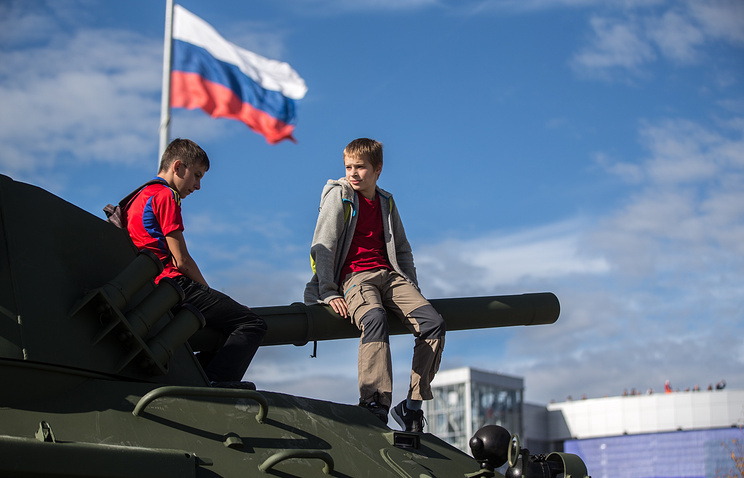 Russia will display more than 400 exhibits at the international conference and weapons show Africa Aerospace and Defense-2016, to be held in Pretoria, South Africa, on September 14-18, Russia’s federal service for military-technical cooperation has said. “Within the framework of Russia’s exposition, organized by Rosoboronexport, fourteen organizations will present their selections. Twelve of them will display military products. 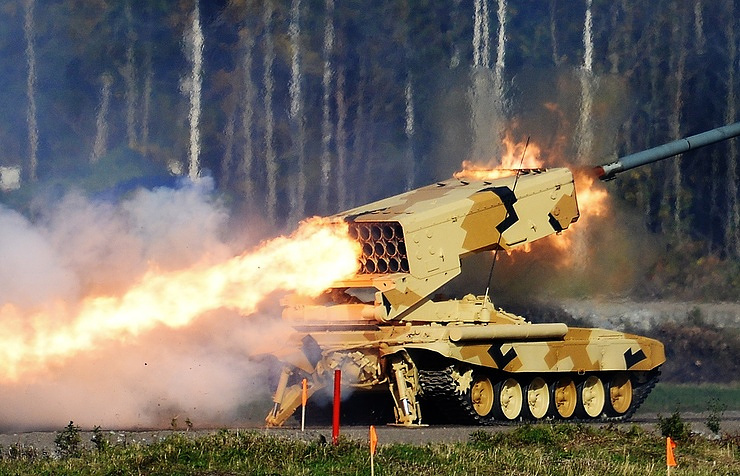 Six of the twelve are empowered to participate in military-technical cooperation on their own: Rostec corporation, NPO Splav, research and industrial association NPO Uralvagonzavod, research and industrial association NPO Bazalt and research and industrial association NPO Pribor,” Rosoboronexport said. Russia will present information about military products that are in the greatest demand in the region, such as T-90S and T-90MS main battle tanks, BTR-82A armored personnel carrier, Mi-28NE combat helicopter, Mi-35M combat and transport helicopter, Ka-52 reconnaissance and attack helicopter and many others. The medium-haul passenger liner Sukhoi Superjet-100 will perform a demonstration flight. Russia’s official delegation under the deputy director of the federal service for military-technical cooperation under Anatoly Punchuk will discuss bilateral cooperation with foreign partners. The exhibition with South Africa has been held since 1992. It is Africa’s largest diversified show featuring the latest achievements in military and civil aviation, naval ship-building, conventional weaponry, and aerospace equipment and technologies. This year the show will open at the Waterkloof-Centurion air base in seven pavilions having a total floor space of 22,000 meters and at seven open-air sites. A total of 326 foreign companies have declared their intention to participate. Turkey has recently dispatched a large cargo of US-made weapons and equipment to the terrorists in Northern Syria, Abdel Bari Atwan, the editor-in-chief of Rai al-Youm newspaper, said. “Turkey has supplied the terrorist groups, specially Fatah al-Sham (the newly formed al-Qaeda-affiliated terrorist group previously known as al-Nusra Front) with a large amount of US and non-US made weapons,” Atwan wrote in the Tuesday editorial of Rai al-Youm. He described the move as one of the main elements helping the terrorists groups to make the recent advances in Eastern Aleppo, and said other important factors include surprise attacks by a large number of militants (9,000 terrorists from all parts of Syria participated in the operations), suicide attacks, using tens of bomb-loaded vehicles, terrorists’ disappointment after the army’s siege that has left them no way but to fight to death and the propaganda launched against the Syrian army and its allies by certain Arab media, specially the al-Jazeera. Reports said on Monday that 2,000 members of Jeish al-Fatah terrorist group have been killed and many more injured in clashes with the Syrian Army troops and its popular allies in the Southern and Southwestern parts of Aleppo city in the last ten days. The Syrian government forces repelled several rounds of Jeish al-Fatah’s offensives to lift army’s siege on Aleppo in the last ten days, leaving at least 2,000 militants dead and many more wounded. Several commanders within the ranks of the Syrian army and Hezbollah said the terrorists in Aleppo are both receiving logistical aid and intelligence support from the western states, specially the US warships deployed in the Mediterranean Sea. Meantime, the latest news said that the terrorists’ trans-regional supporters have supplied them with hundreds of anti-armored TOW missiles through their allies in the region. “The Jeish al-Fatah members seek to break the siege of their comrades in Aleppo while the Hezbollah resistance forces are showing strong resistance against them with the least possibilities,” a member of the resistance forces said. Meantime, sources disclosed on Monday that Jeish al-Fatah’s non-stop attacks to break the government forces’ siege of Aleppo were mostly aimed at evacuating a number of Turkish and Western officers trapped in militant-held districts in Aleppo. “Several military advisors and trainers, working for the terrorist groups were trapped in Eastern Aleppo and have been transferred to militant-held regions in Southern Aleppo via Jeish al-Fatah-established corridors in al-Ramousiyeh,” the sources said. After seven phases of massive operations by over 9,000 terrorists on multiple fronts in Eastern, Southern and Southwestern Aleppo in the last five days, the US-backed Jeish al-Fatah coalition of 22 terrorist groups failed to break the siege except for one very narrow stretch of land in the Southwest that is under hell fire by the Russian air force and Syrian artillery units blocking the terrorists from opening a path to go through to escape the siege or bring in supplies and fresh forces. Jeish al-Fatah has lost over 800 militants only in the Eastern frontline, while the latest reports on Sunday afternoon said they have so far lost 1200 militants in the South. The militants managed to win control over three of the five Army Academies, but later came under the Russian warplanes’ non-stop airstrikes and an unending barrage of missile and rocket attacks by the Syrian artillery units. Meantime, resistance forces said that at least 2,000 fresh popular forces have arrived in Aleppo to join the Syrian government forces’ war against Jeish al-Fatah terrorists in the Southern parts of the city. “The newly-arrived resistance fighters are specialists in street war and know very well different tactics of battling against the well-equipped terrorists,” the sources said. Syrian Army troops, Lebanese Hezbollah resistance forces, Iraqi resistance movements including al-Nujaba, Iranian military advisors (IRGC and Army), National Defense Forces and popular forces from Nubl and al-Zahra have taken part in joint operations in Aleppo. YEKATERINBURG, July 11. /TASS/. The Russian government will allocate 1 trillion rubles ($15.625 billion) for the development of the domestic defense industry, Prime Minister Dmitry Medvedev said at a meeting with members of the ruling United Russia party on Monday. “This year, the government has approved a new version of the program for developing the defense and industrial sector. The program is large and is also designed for a perspective. Overall, financing in the amount of about 1 trillion rubles is intended for this program. This is a large sum of money,” the Russian premier said. According to Medvedev, the program will focus on retooling Russian defense enterprises and providing them with new equipment. This will be done “so that the hardware you produce will be at the highest level,” Medvedev said. The Russian president and the government are pursuing a single policy aimed at modernizing the defense industry and delivering new types of armaments to the Army and the Navy, the premier said. In May, the Russian premier approved a new version of the program for the development of the domestic defense industry for 2016-2020 worth 1.067 trillion rubles. As Vice-Premier Dmitry Rogozin said, the program stipulated measures to support the defense industry, in particular, the enterprises working for the defense and industrial sector, strengthen the personnel potential, substitute imported military products earlier supplied from NATO member countries, the European Union and Ukraine with domestic output. The program envisages scientific support for the defense industry to improve the technical characteristics of existing armaments. Marine and aviation gas turbine-making is another important element of the program, the vice-premier said. The first goal is to bring the level of the defense industry’s production and technological readiness to 100% to ensure the output of armaments and military hardware. This year, this figure stood at 97%, Rogozin said. The fourth goal is to develop at least 1,300 technologies by 2020 to ensure the output of military products. 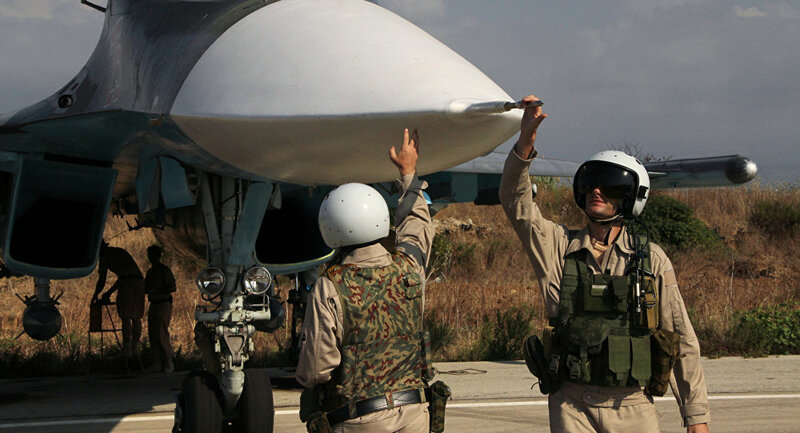 The experience of weapons, hardware, and aviation utilized in Syria is being used to train servicemen, Russian Defense Minister Sergei Shoigu said Wednesday. “As you know, with each year more and more modern equipment and military hardware enters service. This presents particular demands to the professional skills of servicemen, including junior specialists. It’s also important to note that during the process of training, the experience of exploiting aviation and missile systems used in operations in Syria is being widely utilized,” ” Shoigu said during a Defense Ministry meeting. Russia has been bringing food, medicines and construction materials to besieged and hard-to-reach areas in Syria since the beginning of 2016. 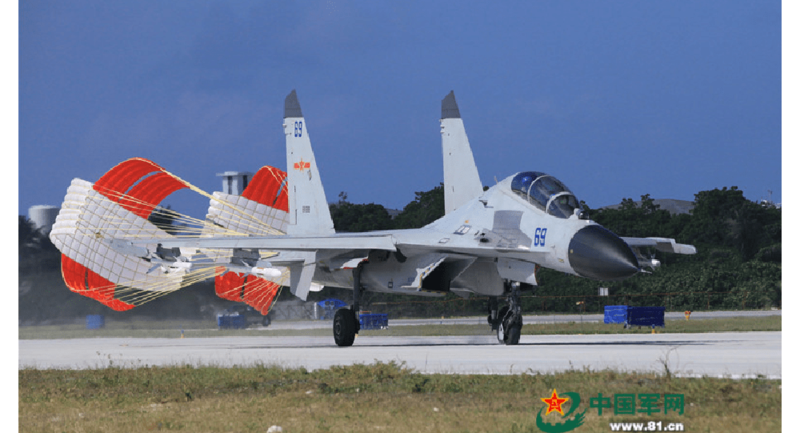 China has almost doubled its weapons exports over the past five years, a military think tank said on Monday. According to a new report by the Stockholm International Peace Research Institute, China’s arms imports have shrunk by twenty five percent from 2011 to 2015. During the same period, Chinese exports of major arms mounted by eighty eight percent. The figures thus highlight an increasing confidence in the country’s homemade weaponry, despite existing drawbacks. Over the past years China has poured billions of yuan into developing its weapons industry to back its ambitious military modernization. However, the paper notes that China still accounts for only almost six percent of global arms exports, well behind Russia and the US – world’s two largest arms exporters. Siemon Wezeman, Senior Researcher for the Arms and Military Expenditure Program at Stockholm International Peace Research Institute joined Radio Sputnik to shed more light on China’s growing arms industry and a range of other issues, including the role human rights play on today’s arms market. The expert further spoke about how China has a lot of bright engineers and how the government is putting a lot of money into the development of civilian and military products. Wezeman then spoke about the arms race in general and how the current monitoring of arms trafficking is related to human rights. He spoke about the situation in Yemen and the rumors that Saudi Arabia has been using the US made cluster bombs in attacks. We, CyberBerkut, have already warned against inadmissibility of the Washington’s interference in internal affairs of our country. Moreover, we repeatedly claimed our rejection of Kiev authorities’ antinational policy which had put Ukraine in dependence from the USA. During two-day visit of Joseph Biden to Kiev on November 20-21 we gained access to confidential files of the State Department that had been stored on American delegation member’s mobile device. Today we are ready to acquaint Ukrainian citizens, the USA and the world community with the documents that uncover the real volume and direction of American aid to “settle” the Ukrainian crisis. After examination of just a several files there is the impression that the Ukrainian army is the branch of US Armed Forces. The volume of US financial assistance amazes with its scale. They also show the highest level of degradation of the Ukrainian Armed Forces. Besides, thousands of dollars go on personal accounts of military personnel and used by certain officers in personal needs. What will the American taxpayers say? One of the most surprising documents. The Naval Command begs it’s foreign masters to sponsor Ukrainian officers during military exercises headed by the Pentagon on the Ukraine territory. And what about national pride? Besides, what’s the point of transferring more than a half million UAH on a card account of LCDR Denis Stupak? It cannot be explained. Except for uncontrolled spending and enriching without paying taxes. Perhaps it would be very interesting for Ukrainian and American journalists to find this officer and ask him a couple of questions. Here’s another document concerning military exercises. This time the Army Academy Named After Hetman Petro Sagaydachnyi begs to recover exercise expenditure for meals and incidentals of its eleven officers and one civilian. They want up to 53,000 UAH. And now attention! Why does the assignment allowance of Naval Forces officers come up to 1310 UAH per day, and assignment allowance of the Army Academy officers – 500 UAH per day? Are sailors hungrier? Or is it just blind cupidity? This is one of the documents confirming that the Ukrainian army becomes a branch of US Armed Forces. The amount of expenses is amazing. What is much astonishing, almost one million dollars is assigned for opening “linguistic laboratories” and purchasing text-books for them. Undoubtedly, it is what Ukrainian Armed Forces need today. They all need English to understand Washington’s orders more quickly. This document contains signatures of Barak Obama and John Kerry. The USA will provide Ukrainian Armed Forces with counter-mortar radars. It is what Mr. Poroshenko proudly talked about. So it happened. Three radars worth a total of $400 000. It’s a penny in comparison with what Ukrainian army will receive from Washington. From these documents it’s not difficult to understand that US military assistance calculates in millions of dollars. And as we all know, he who pays the piper calls the tune. The United States of America continue to assert that they are ready to provide Ukraine only with non-lethal commodities. But for some reasons members of Joseph Biden’s delegation have been given the document with the mark “for the Congress, final”. After reading of this document it’s getting clear that the junta is not going to comply with the Minsk agreements and observe the truce. They are ready to kill again! 400 sniper-rifles, 2000 assault-rifles, 720 hand-held grenade launchers, 200 mortars with more than 70 000 mines, 150 stingers, 420 antitank missiles and so on. That’s the plan of a peaceful settlement of the conflict in the South-East by Petro Poroshenko. For some reason, special attention is paid to Ukraine’s Naval Forces. On one hand it’s clear that there are no Naval Forces in Ukraine. On the other hand it points at aggressive plans of the USA and Kiev to prepare subversive operations not only in the South-East, but in Crimea. It’s hard to find another explanation. Otherwise, for what purpose does Ukraine need 150 combat divers?